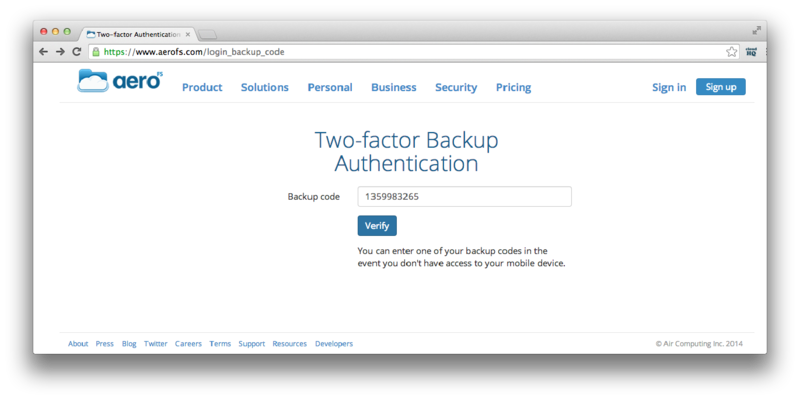 In the event that you don't have your mobile device handy and need access to your two-factor authentication enabled AeroFS account, you can still log in using the backup codes that were generated when you set up two-factor authentication. If you don't have the backup codes either, then an administrator of your organization can disable two-factor authentication for your account so that you can login with just your email and password. Here's how you can recover access to your account using backup codes. 1. Enter your email and password as usual. 2. 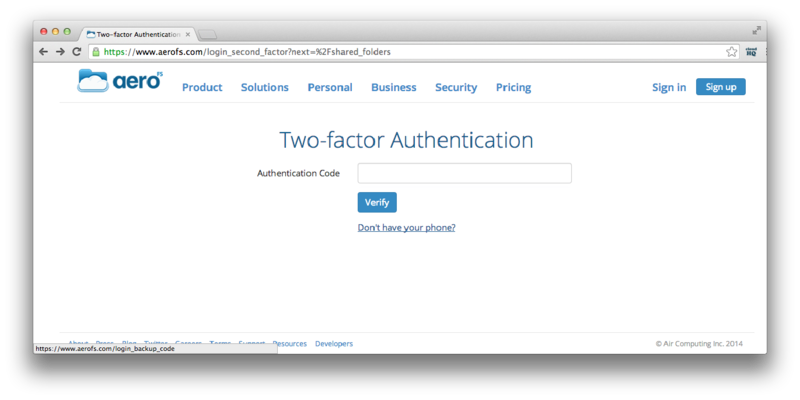 When prompted for the two-factor authentication code, click on Don't have your phone? 3. Enter one of your backup codes and click Verify to log into your account. Note: You can't use the same backup code more than once. If you do not have your backup codes and you are otherwise locked out, contact your IT administrator or contact us here at AeroFS support.